Every year, the Ohr Torah Stone emissary training and placement programs, Beren-Amiel and Straus-Amiel, prepare and send educators and rabbis to provide Jewish educational and spiritual leadership to communities around the world. These young leaders have been equipped with the professional skills they will need to make a major impact on synagogues, campuses and schools, inspiring their communities with the Ohr Torah Stone message of unity, continuity and social justice and promoting a Judaism which is warm, welcoming and profoundly relevant to daily life. While for many years the wife of the emissary educator or rabbi was viewed as an appendage to her husband, it is now understood that the emissary’s wife has a crucial role of her own to play. A professionally-trained, intelligent, sensitive partner should complement her husband’s work and make a profound difference to the community as she brings her own education, skills and personality to the task of renewing Jewish life and reviving Jewish spirit. 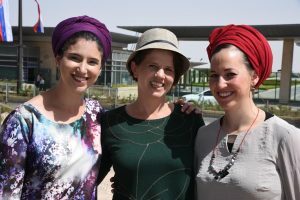 The communities to which we send our rabbis and educators are in desperate need of women models and women educators to supplement and complement the work of the man. In the overwhelming majority of cases, the women have studied Jewish subjects intensively for many years and certainly have the potential skills to make them creative and meaningful partners to their husbands. Therefore, it is essential to invest in these women and train them with the tools and information they will need to be maximally effective. 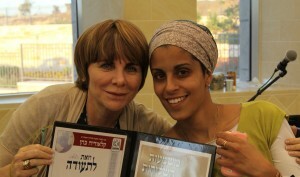 The Claudia Cohen Women Educators Institute meets regularly at the Chana and Yaakov Tilles Campus in Talpiyot, Jerusalem. Most students possess advanced academic degrees and impressive professional qualifications. The institute cultivates their natural abilities, talents and existing skills, preparing them with the practical tools they will need to inspire an increasingly, alienated, sophisticated, cynical and assimilated Jewish population across the globe.